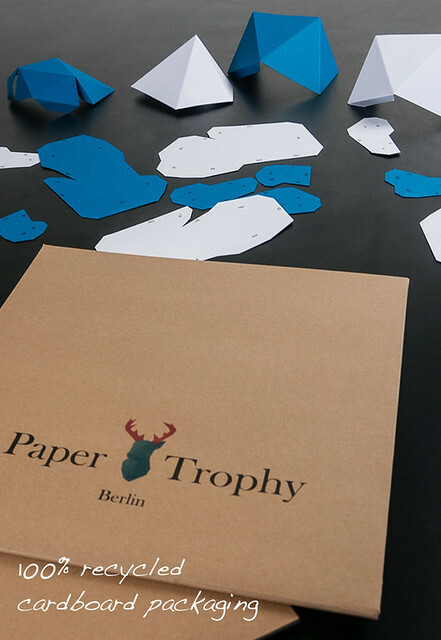 If you're in need of a project to speed up dull winter days, I have just the ticket... an Indiegogo campaign for creating your own sturdy paper trophy animals was launched recently by Holger Hoffmann of Germany. 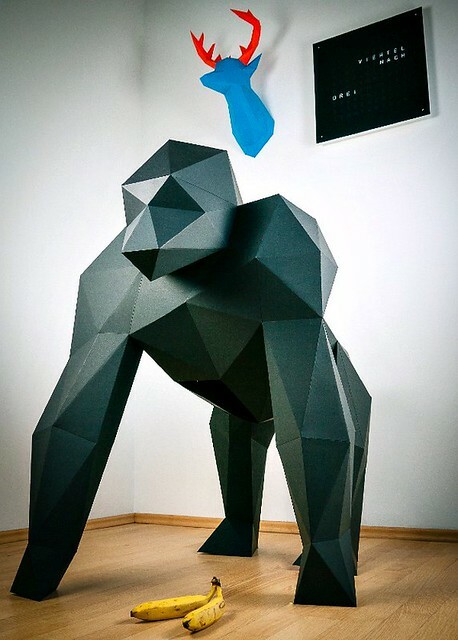 The standing or wall art figures feature a minimalistic cubic design and a range of sizes... from a small downloadable penguin to a life-size gorilla that will ship as a flat-pack. 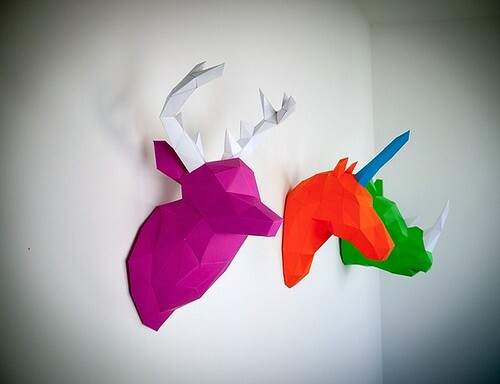 I've featured several shops in the past that offer DIY folded paper animals, but Holger's machine-cut kit designs are different in that they do not contain paper sheets that require scissors-effort. 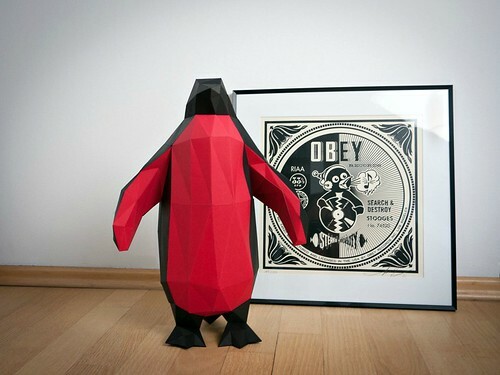 Instead, the high quality and eco-friendly heavy paper in your choice of colors will arrive pre-cut and pre-creased. Perhaps best of all, the components are numbered for easy assembly. There's no need to be an expert in abstract reasoning... Holger has taken care of the brainwork. Originally designed as projection surfaces for club lighting in Berlin, he realized the trophies would be great as zany home decor when friends began asking for them. Holger's reason for creating the campaign? He has not been able to find a printing company that has the required plotter (vector graphic printer), so will need to invest in the expensive equipment personally. 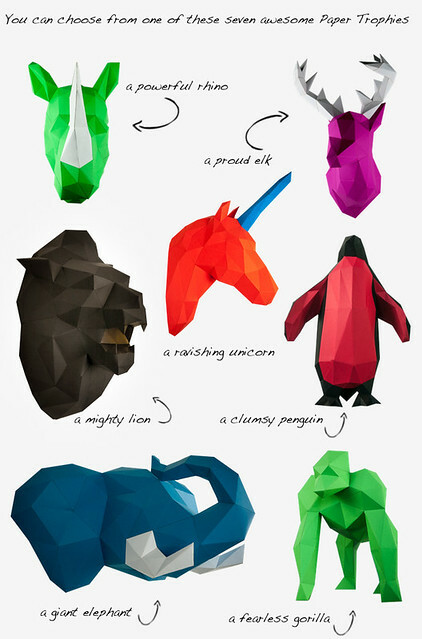 PaperTrophy is on Indiegogo and Facebook. 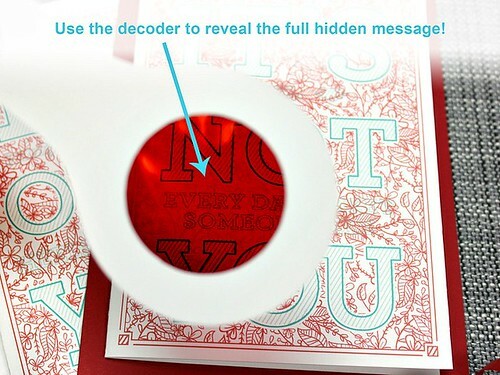 And while I'm talking crowdsourcing, here's a Kickstarter campaign that ends very soon and is close to being fully funded: Neil Kupras's clever Hidden Message Valentines. Maybe we can help send it over the top.